Plus Google Home is 30 percent off. Smart speakers are a useful and convenient way to control your smart home devices, but their price tags can be a little steep, even for inexpensive models like the Echo Dot or Google Home Mini. But right now you can get an Alexa-compatible smart speaker for super cheap: the Eufy Genie smart speaker is $19.99, a savings of nearly 45 percent off its $34.99 list price. 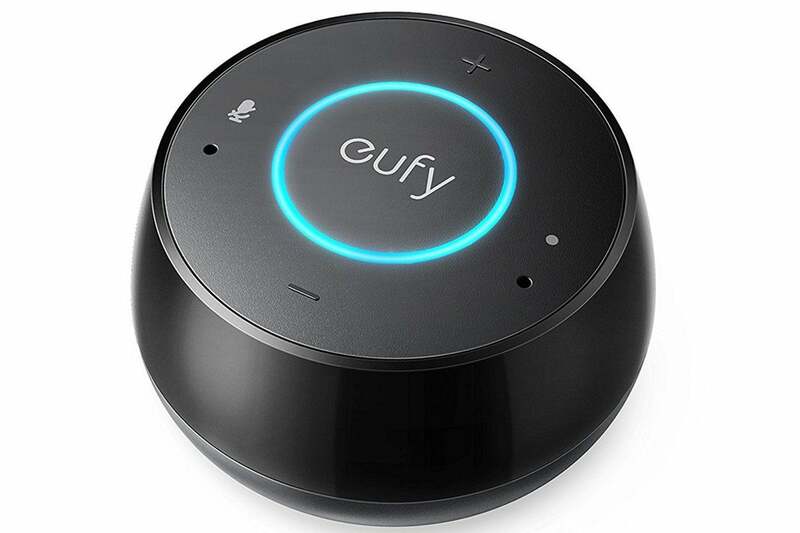 Just like Amazon own speakers, the Eufy Genie is compatible with Alexa's broad set of skills, so you'll be able to control other compatible devices with your voice as well as a whole lot more, from calendars to music to food delivery services. The speaker is designed to work with Eufy's smart bulb offerings, which we gave four stars out of five in our review. We haven't tried this speaker ourselves, but it looks to be pretty well-received on Amazon. It has a user rating of 3.6 stars out of 5, with the main complains being spotty Wi-Fi connectivity and a lack of features, such as Bluetooth support and the ability to change the wake word. The company does promise that more features are on the way, but in the meantime, $20 is still an extremely low entry price for a smart speaker. The cheapest ones your can get from Amazon and Google, the Echo Dot and Home Mini, respectively, each retail for $50. If you prefer a more mainstream smart speaker, Newegg is offering Google Home for 30 percent off, or $89.99, as part of its weekly flash sale. Google Home is one of our favorites and was a runner-up to Echo Spot in our picks for best all-around smart speakers.